This big block Chevy engine was built by Dan Hodges, a local New Mexico client, as a street-friendly, high performance engine. The use of high quality components shows in the final product. The FAST EFI system was chosen to give a smooth fuel curve and excellent driveability. 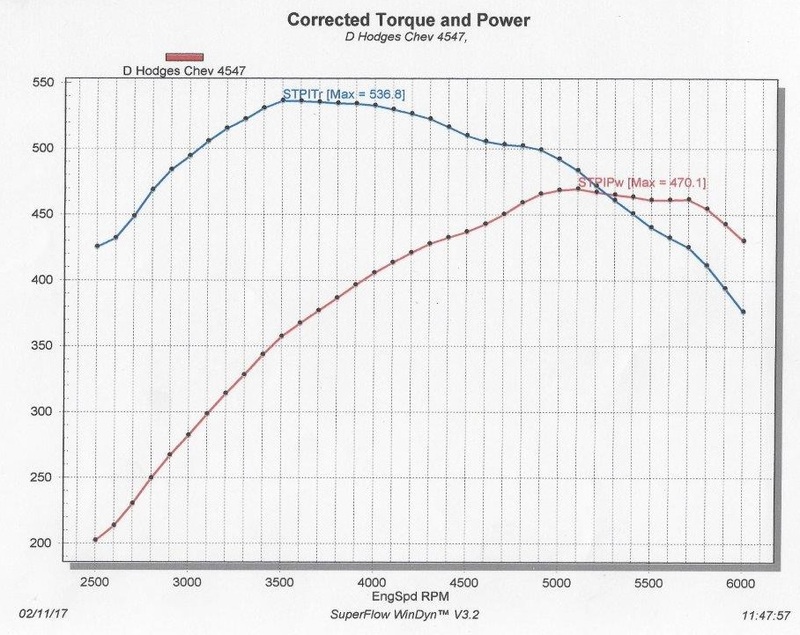 The torque curve is more than enough to give a heavy muscle car great acceleration and throttle response. All in all, this was a solid dyno result that clearly illustrates the benefits of performing the dyno testing before the engine is installed in the car. Additionally, two small oil leaks were found during the testing that were corrected before installation of the engine in the car. This saved some hassle that would have occurred after the engine was installed and the oil leaks were discovered.